Making meringue takes a little practice. Don't be intimidated, because it is not too difficult once you get the hang of it. This recipe works for Lemon Meringue Pie or any other pie that calls for meringue. 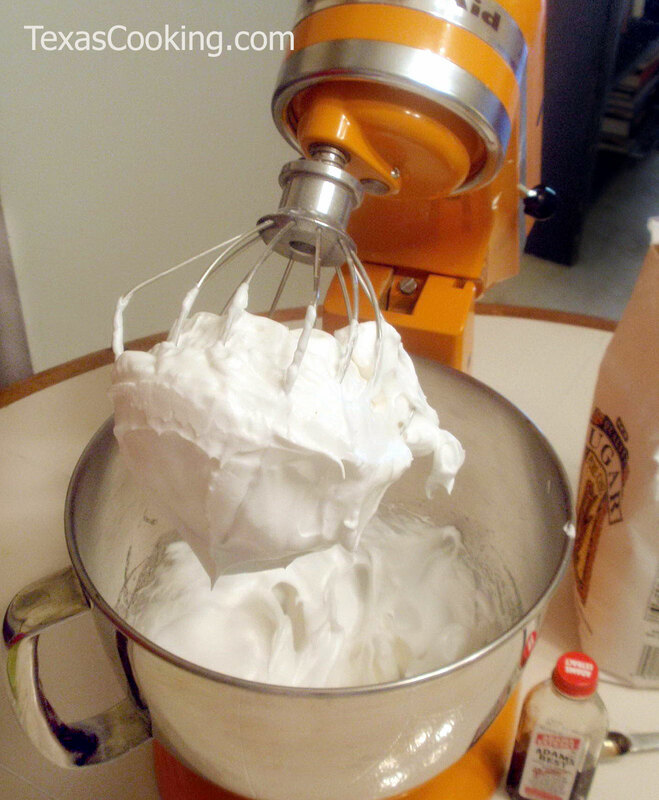 Keep in mind that for meringue to "work", you need a decent electric mixer with enough power to reach high speed. Also, your mixing bowl and beaters must be scrupulously clean without a speck of oil. Your eggs should be at room temperature. And perhaps most importantly, egg whites that contain even a tiny smidgen of the egg yolk will fail to whip up to a proper meringue. So get whatever egg-separating technique you use down pat before you start. If you are completely new to making meringue, you will also be interested in our post detailing Secrets to Good Meringue. Beat the egg whites at high speed with an electric mixer until egg whites are foamy. Continue beating, and with mixer running, add the cream of tartar, then gradually add the sugar, a tablespoon at a time, and beat until stiff peaks form. Don't rush; the sugar needs a little time to dissolve. Finally, beat in the vanilla. Pile atop pie and seal edges of meringue to the crust to prevent it from shrinking during baking. Bake at 350°F for 12 to 15 minutes, or until lightly browned. Makes enough for one pie. Note: To minimize "weeping", spread the meringue on the pie filling while the filling is hot. Also, meringue pies cut more easily with a wet knife blade.